I'm seeing a bump in Warholesque political street art on Flickr in recent days. 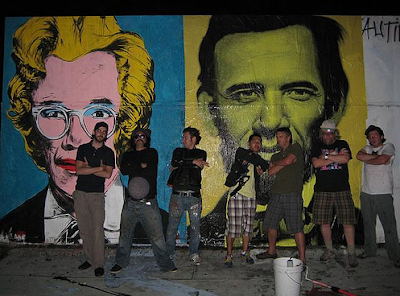 One is a new two-part mural: The Ron English/Popaganda side shows English's Obama/Lincoln figure, while the other, by Mr. Brainwash, shows a Warhol/Marilyn morph. 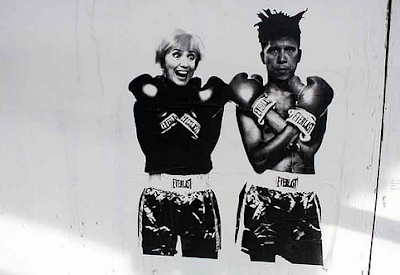 Meanwhile, someone's appropriated the famous Basquiat/Warhol boxing poster casting Obama and Hillary Clinton as pugilists.